How can you resist this cheeky chappy. Make the penguin yours by adding those essential personal details! 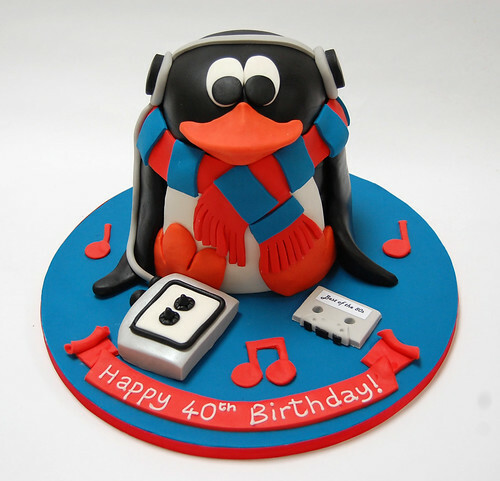 The 80s Penguin Cake – from £90.